Elham Zajani of the National Council of Resistance of Iran (NCRI) published a piece for the Scoop calling for the mullahs’ crimes of 1988 to be thoroughly investigated and those responsible held to account. The member of the NCRI’s Woman’s Committee quoted Anne Frank, “what is done cannot be undone, but one can prevent it from happening again.” For Zajani, these lauded words from one of the Holocausts best-known victims evoke memories of atrocities carried out in Iran in the four decades of regime rule. “In the summer of 1988,” she says, “the Iranian regime launched a nationwide massacre in its prisons throughout the country against political prisoners.” Ignited by Khomeini’s fatwa against the Iranian opposition and the People’s Mujahedin Organisation of Iran (MEK), regime agents rounded up and executed more than 30,000 members of the political opposition. The operation was so brutal and vicious that Geoffrey Robinson, a human rights barrister who oversaw the appeal at the UN Special Court for Sierra Leone, called the atrocity the worst crime against humanity the globe has witnessed in the post-world war era. The mullahs have worked tirelessly to cover up their involvement in the executions. Most within the regime have avoided speaking on the subject and much of what is known about the massacre has been pieced together through witness testimonies and family members who were called to collect the bodies of their loved ones. The victims themselves were unaware of what was about to happen. They were not offered the chance to say goodbye to their families. In many cases, their last words were hastily carved on prison walls. Their families were only notified once they had been executed. Even young girls and pregnant women were not exempt, many of whom were raped before being dragged to the gallows. However, his voice was alone, and his opposition to the massacre would ultimately lead to his removal from positions of power. The fact that more than 30 years later, the regime still refuses to acknowledge the crimes it committed or provide any further information on how many victims’ lives it claimed makes the nature of the human rights abuses ongoing. 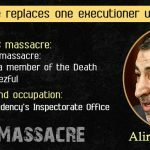 Members of Khomeini’s death squads who undertook the executions are still in positions of power in Hassan Rouhani’s cabinet today. Additionally, the regime has not learned its lesson. Human rights abuses and executions continue abated today. 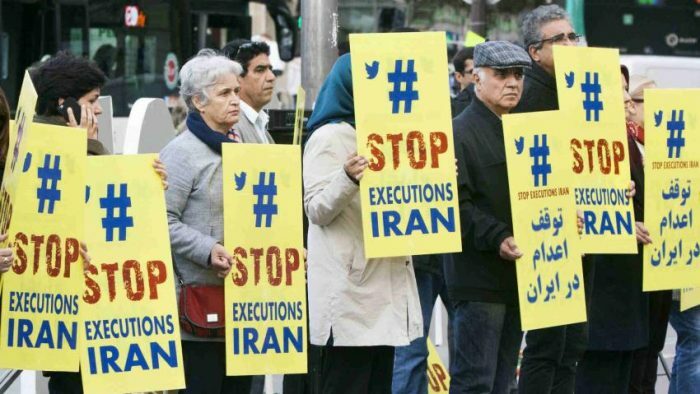 It is because of this that in a few weeks’ time, on Friday, February 8th, the Iranian opposition across Europe and their supporters will gather in Paris to protest the 40-years of regime rule. They will be calling for an end to executions and human rights abuses and support new democratic dawn for Iran. The mullahs' regime is more than ever mired in incurable crises. Join our demonstration for a secular,democratic and #FreeIran!